This is your one-stop shop for everything coaching. It’s what we consider our personal mentorship program. Below you will find a sample of one of the twice weekly newsletters that you recieve as a member. As you can tell, they are jam-packed with content, created and curated by Jon and Steve. We hope you find what we offer of incredible value. In 2011, Kenyan Moses Mosop ran the fastest debut Marathon of all-time, 2:03:06, placing 2nd to countryman Geoffrey Mutai at the Boston Marathon. At the time, it was the 2nd fastest mark ever for the Marathon behind only Mutai, who ran 2:03:02 that same day, where they both bettered the pervious world best by nearly a minute that day. Mosop was long coached by famed Italian distance coach Renato Canova, who is known for his revolutionary (and intense) methods. For your consideration is Mosop’s 2011 Boston prep training plan — all 23 pages of it. Last issue we offered a skeleton outline of a 5,000m 10-week training progression for consideration for the seasoned (2-3+ years competitive experience) runner. By request from several HPW members, this week we’ve refined the outline, beefing it up by adding workout recommendations. Buckle up — and grab a pen and notebook! 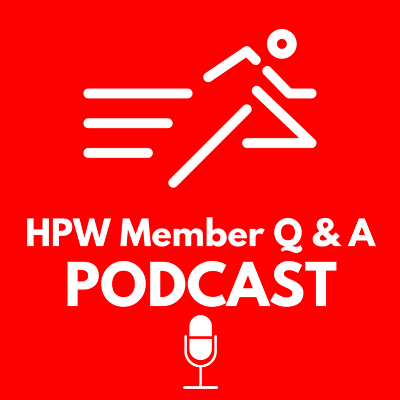 In a brand new segment we’re dubbing HPW Member Mini-Class Series, Steve Magness takes you through the importance of uconnectingnding how different workouts connect in training. How does a tempo run connect to mile repeats? In Keith Livingstones book ‘Healthy Intelligent Training’ he spells out the proven principles of Arthur Lydiard. The advice is as long a possible of base training consisting only of a mixture of steady aerobic running, from Easy pace up-to, but not faster then Marathon Pace. With the only fast stuff allowed being 10 sec sprints. Was Lydiard right in saying “any work above Anaerobic Threshold is totally counter-productive and harmful to the development of the aerobic system?” Is anything Tempo or above going to be damaging to base training? And is now available exclusively to you on SoundCloud. All the knowledge in the world can only get you so far. 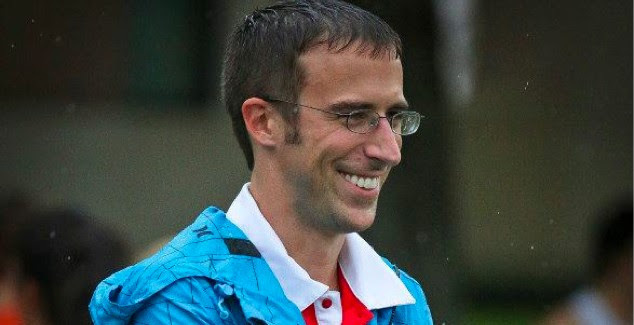 While a deep reservoir of knowledge is a prerequisite for coaching at any level, it is a firm grasp and daily application of the soft skills such as trust, team-work, critical thinking, adaptability, accountable and altruism which are the critical ingredients necessary to truly support a championship level athlete or team. Ingham writes a compelling narrative detailing his evolution as a young, rigid sports scientist, to becoming one of the foremost sport performance coaches in the world. Alec Stewart is one of the top men in Cricket of all time. His vision, work ethic, and integrity are extraordinarily sharp and clear. This is a riveting listen and will stir thoughts in you to prompt action towards a crisp execution of whatever it is you are pursuing. Are vision and fear linked? Scientists at the Stanford Neurosciences Institute are asking the question and conducting research on it. Fear, namely of the irrational variety, can cause a lot of angst for some athletes on race day. This is an interesting rabbit hole to go down and consider possible applications to helping anxious athletes overcome their irrational race day fears.